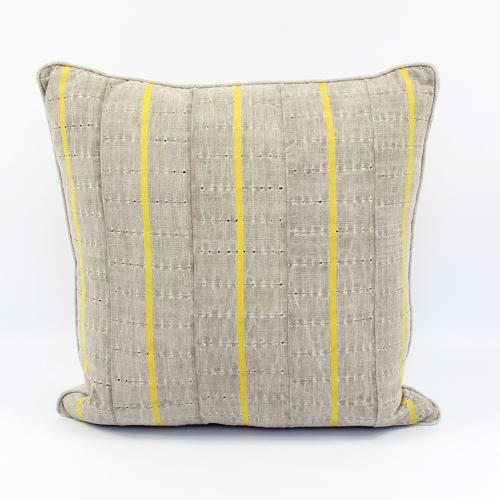 These cushions have been made from a midcentury grey Yoruba strip-weave, with yellow stripes, lace holes and floating surface stitches. I have used the reverse of the fabric which I think is more interesting and has an industrial look. The cushions are backed with vintage grey hemp, with piped edges, zip fastener and feather pad. They are available to view in my studio in Purley, by appointment or please ask for a delivery quote.